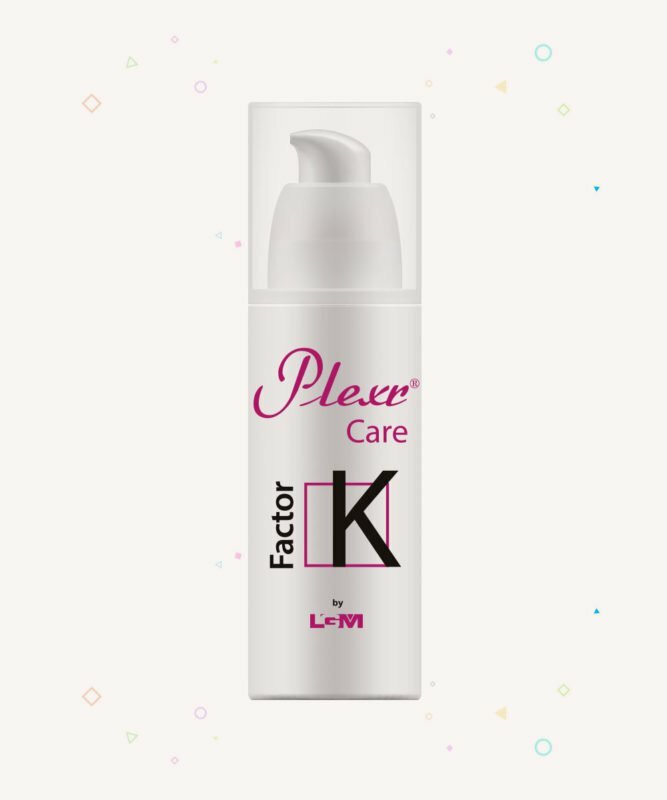 Plexr Care Kit stems from the need of professionals to perform their own patients with a precise protocol and appropriate cosmetic products after applying the Plexr treatment. 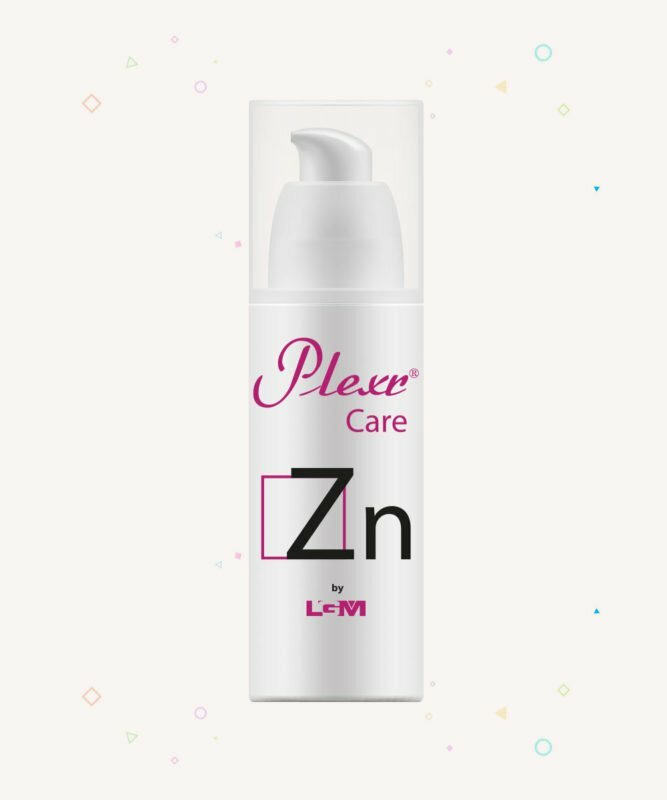 It is formulated to be used in very delicate areas such as the eyelid and is useful for managing in a simple and safe Plexr interventions and beyond. A product based on a special emulsifier and liquid crystal promoter, providing a deep sensation of wellbeing to the skin and conveying a prolonged release of the active ingredients. With high and low molecular weight hyaluronic acid, which protects skin from drying and premature aging, and facilitates normal epidermal repair. With antiseptic and soothing zinc oxide. Facilitates normal cutaneous microcirculation thanks to pennywort (Centella Asiatica) extract and purified bisabolol (alpha). UV filter, hyaluronic acid, zinc oxide, emulsifier and liquid crystal promoter. Apply morning and evening after thorough cleansing. AQUA, CETEARETH-12, GLYCERIN, CETEARYL ALCOHOL, TOCOPHERYL ACETATE, ETHYLHEXYL METHOXYCINNAMATE, ISOPROPYL MYRISTATE, PENTAERYTHRYTYL TETRACAPRYLATE/TETRACAPRATE, CETEARETH-20, UREA, GLUCOSE, ALLANTOIN, FRUCTOSE, SODIUM PCA, SORBITOL, HYDROLYZED WHEAT PROTEIN, GLYCINE, SODIUM GLUTAMATE, MALIC ACID, CITRIC ACID, GLYCOLIC ACID, LYSINE, POTASSIUM HYDROXIDE, SODIUM HYDROXIDE, CARBOMER, TARTARIC ACID, LACTIC ACID, ETHYLHEXYLGLYCERIN, PHENOXYETHANOL. Vitamin E acetate, NMF, UV filter. Product formulated with a special emulsifier and liquid crystal promoter, providing a deep sensation of wellbeing to the skin and conveying a prolonged release of the active ingredients. High concentration of vitamin E, protecting against free radicals and oxidation damage and preventing skin aging. With reconstituted NMF, protects from drying. 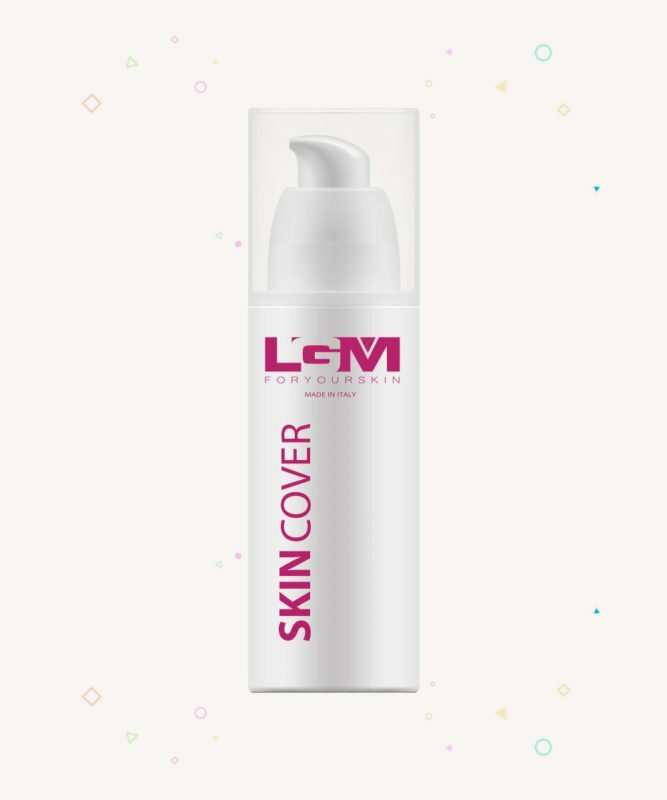 Contains: UV filter, vitamin E acetate, reconstituted NMF, allantoin, emulsifier and liquid crystal promoter. AQUA, CAPRYLIC/CAPRIC TRIGLYCERIDE, CETEARYL ALCOHOL, GLYCERIN, ETHYLHEXYL METHOXYCINNAMATE, ISOPROPYL MYRISTATE, PENTAERYTHRYTYLTETRACAPRYLA- TE/TETRACAPRATE, CETEARETH-20, SODIUM HYALURONATE, HYDROLYZED SODIUM HYALURONATE, ZINC OXIDE, BISABOLOL, PROPYLENE GLYCOL, CENTELLA ASIATICA EXTRACT, CARBOMER, SODIUM HYDROXIDE, ETHYLHEXYLGLYCERIN, PHENOXYETHANOL. Uniforms and corrects skin imperfections, plant-based UV protection. Vegetal squalane: LipoLA fraction extracted from olea europaea, with micro skin-smoothing power. Gallic rose and Damask rose extract: reinforces and protects the skin from environmental damage (anti-pollution). Vitamin E: protects from free radical and oxidative stress damage. Texturing agents: improve skin-feel and give a soft-focus and opaque appearance. High molecular weight hyaluronic acid: hydrating and spreading power, capable of retaining water up to 20 times its weight. High physical solar filter content. AQUA, TITANIUM DIOXIDE (CI 77891), PROPYLHEPTYL CAPRYLATE, GLYCERIN, DICAPRYLYL CARBONATE, CAPRYLIC/CAPRIC TRIGLYCERIDE, POLY- GLYCERYL-2 DIPOLYHYDROXYSTEARATE, ETHYLHEXYL STEARATE, POLYGLYCERYL-3 DIISOSTEARATE, ALLIUM CEPA BULB EXTRACT, PANTHENOL, TOCOPHERYL ACETATE, CENTELLA ASIATICA EXTRACT, SODIUM HYALURONATE, MALTODEXTRIN, ESCIN, ROSA DAMASCENA FLOWER OIL, ROSA GALLICA FLOWER EXTRACT, AESCULUS HIPPOCASTANUM EXTRACT, SQUALANE, LECITHIN, SILICA, HYDROGENATED LECITHIN, CERA ALBA, HYDRO- GENATED CASTOR OIL, CI 77491, CI 77492, CI 77499, SODIUM CHLORIDE, CORN STARCH MODIFIED, ETHYLHEXYLGLYCERIN, SODIUM BENZOATE, POTASSIUM SORBATE.